"Players don’t want to ‘play’ with thousands of people, they want to play with a small group in the presence of thousands. It’s like an old-school arcade. You don’t want to play pinball with 10 people, but playing by yourself in a crowded room is a lot more fun." I hadn't happened upon this quote before but I've expressed those sentiments countless times. 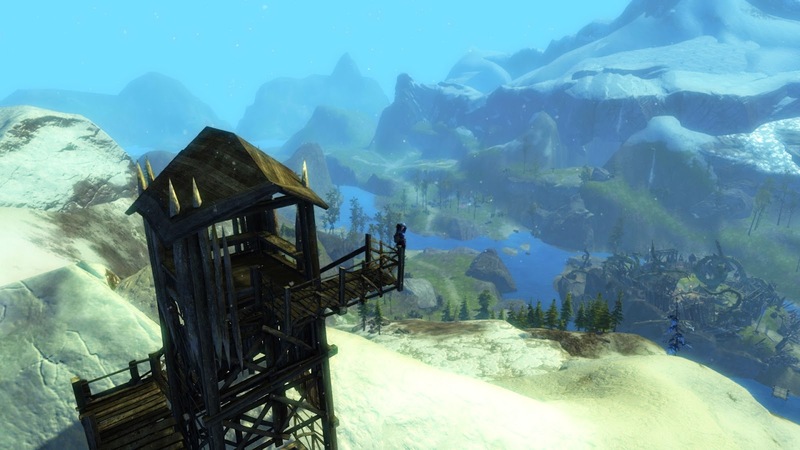 This, often, has been the experience I've looked for, playing MMORPGs. Over the past decade-and-a-half and more it's been an experience that I've, sometimes, been lucky enough to find. The analogy I've tended to use is of reading at a pavement cafe; one of the finest, most complex experiences to which a human being can aspire. It's one of those magical hinterlands, where awareness fades towards the ineffable as inner and outer worlds move tectonically against and through each other, building up layers of sensual, intellectual, imaginative and creative involvement, hallucinatory in their intensity. The play of sun and wind on the skin, the ambient sounds of the street, snatches of conversation with their flurried undertows of emotion, rubbing up against and abrading the mind's firm determination to recreate the imagined world of characters, themselves acting out the creative imaginings of an author both absent and present: at the best of times, under these assaults, my sense of self breaks down and for a glorious moment I lose myself in who I am. Reading alone at home can be deeply moving, intense, absorbing, memorable, life-affirming, all of those things readers so often claim for books, but it remains deeply solipsistic. It can't begin match the humanity of reading in the presence of others. Similarly, playing video games alone sacrifices the outer for the inner, gains focus at the expense of scope. I still read alone but playing MMOs broke offline games for me. Maybe forever. Looking back, playing video games alone seems like an aberration, anyway. Gaming has always been a social activity. My first time was in a pub and for a few years that's what gaming meant - drinking, talking, laughing, playing, all together. Playing Space Invaders, Breakout, Frogger, Galaxians and the rest, it was as much about being with people as pixels. More. Even in the home that was understood. The Atari 2600 I owned in the early 1980s came with two joysticks. The increasingly sophisticated consoles of succeeding generations found their place in the communal, shared, family rooms as much or more than they did hidden away in bedrooms or studies. The migration of digital entertainment to the internet attenuated, stratified and confused the simplicity of that shared experience, though it continued and continues. So many anecdotal nostalgies of days and nights spent playing Everquest or World of Warcraft stem not only the distant togetherness of raiding with guilds made up of members from all around the world but from the intimacy of sharing a dorm room or a bedroom with another addict. It's hard to disentangle the emotions and the memories. Did we love the games because of the friends we made in them or make the friends we did because we loved the games? Was life better before Trammel, before PoP, before the NGE, before Dungeon Finder, because the games were better then, the interactions closer, more meaningful, more real? Or was it just because we were younger, less worn-down with responsibility or failure or ennui or cynicism? 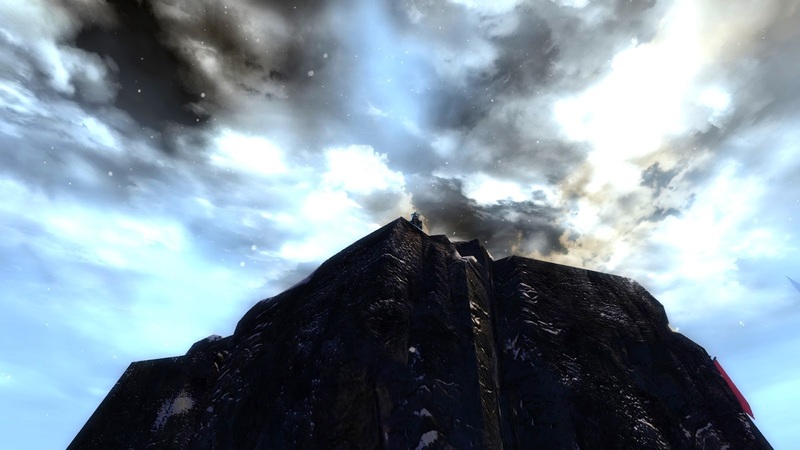 Did we talk to strangers as we waited for spawns at the Splitpaw spires or between pulls in The Deadmines because the pace was slower and we had more time or was it because our minds were more open, then, to new experiences? At the turn of the Millennium, for many of us, being online, not just talking to someone in Sao Paulo, Seattle or Singapore but seeing his avatar moving, acting in real-time there in front of us on the screen, in our own house, how could we not respond to that? It wasn't merely magical; it was actual, real magic. And now it's not. Everyone does it. Without thinking. There's nothing magical about the internet any more. It's in your pocket, in your car, in your office, in the air, everywhere. There's nothing amazing any more in joining with dozens of people of all ages and races and genders and religions separated by thousands of miles and an infinity of experiences, coming together to imagine killing a giant dragon or a destroying a titanic spacecraft. Happens all the time. The experience of playing alone together in MMORPGs always lacked the physical, sensual layers that can make reading a novel at the table of a pavement cafe so overwhelming but for a while it had instead a vast and mesmerizing sense of wonder that worked as well in the annihilation of the self. That's gone and it's not coming back. Of course it's true that none of that would have happened. But something would. Whether he'd have had a story to tell us about it would depend entirely on how good a storyteller he is. A good storyteller can keep an audience spellbound with a description of a single character in an empty room. The tale is in the telling, always. The last half-decade and more of MMO history is characterized by developers' attempts to mechanize human interaction in MMOs, to codify and commodify it. 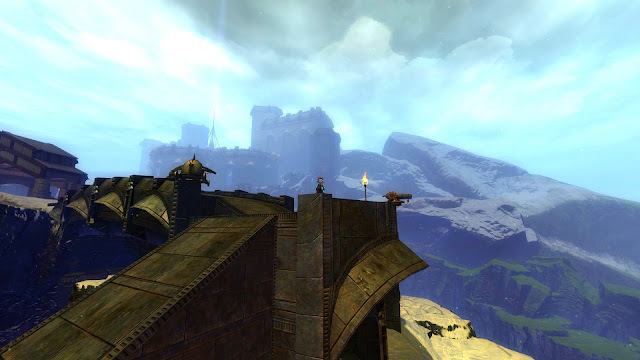 From Warhammer's Public Quests through Rift's eponymous planar incursions to GW2's Dynamic Events, from Dungeon Finder through Instant Adventures to LFR, they seek to find that magic, bottle it and sell it back. It can't be done. Here's what happened. We got older. We lost patience. We gave up. A whisper from a stranger, new to the game, new to the world, lost and looking for someone, anyone, to help, ceased to seem like a chance to show off our experience and expertise. After fifty or a hundred times, who wants to answer the same old questions? Isn't it obvious? Go read the wiki or just google it ffs! You must know how to do that - you're playing this game on the frickin' internet, aren't you?! I used to abandon plans just because I saw someone having a tough time. They wouldn't even need to be asking for help. I knew things and I wanted to share. I had a Chipped Bone Rod and I knew how to use it and what's more I knew where to take you so you could buy one too. I knew how to get to the sewers under Qeynos and I knew how to get out the other side. I knew barbarians couldn't see in the dark, while my half-elf had infravision, and even though I'd only just met you I trusted you to give me back my Greater Lightstone at the end of the tunnel to Blackburrow because otherwise what were you going to do? Stay in Everfrost the rest of your life? That was when we were all living a shared imaginary life in a shared imaginary world. Before we all started playing games. How long did that last, really? That it took years to wind down to an ending is maybe the most amazing thing of all. And we miss it so much. Perhaps that's why we chase every new game almost before it appears, hoping we'll catch the unicorn by the tail and swing back astride before it vanishes around the corner, yet again. All we get are a few strands of silver that quickly lose their shine or, worse, a thumping kick, a humiliating stumble, a painful fall. So, I don't hold out hope that imposed PvP rulesets or autonomic grouping systems or any clever, mechanical intervention can bring back the wonder. Our friends lists won't refill with all those people with whom we shared formative or traumatic or hysterical moments, one night, one session, out of the blue. The MMO experience has moved on. It's no longer about wonder and awe and strangeness, just dailies and achievements and gear. And that's okay. Those aren't bad things. Just not the same. Nothing stays new forever. Let it go. Love it for what it is, not what it was or what you wish it would be. Then maybe, just maybe, if we remember once in a while to answer that question in map chat or send a tell, a little of the magic might flicker on again. At the pinball table or the pavement cafe, when someone asks you for a light for a cigarette, you don't always have to tell them you don't smoke. Maybe you could even carry matches, just in case. I don't know if you bother watching the videos that Eri features in her Link Dead Radio posts, but this week's post has a gameplay showcase for No Man's Sky, which is absolutely worth watching. Even watching that small overview brought on a sense of what you talked about losing, the wonder of living in a shared virtual world. I can imagine that that sense will be so much stronger when you are actually playing for yourself rather than passively watching. Perhaps that is the only way we'll be able to recapture that wonder, in those ambitious few projects that really push the boundaries. We certainly won't find it in the current model of MMO, as you said. I do watch Eri's videos, or at least the ones that catch my eye, and I did look at the No Man's Sky one. It's a game that keeps cropping up in various places as "something amazing" but I can't say I could see quite why from that video and I haven't really investigated it any further. It did look interesting but then so do a lot of things in promos. I actually think it will take a technological paradigm shift to bring back that full-on "I can't believe I'm really doing this" feeling. VR would like to be that shift but so long as it involves awkward headsets I can't see it breaking out of a very specific niche. We'll know it when it happens though, that's for sure. Just hope I live long enough to experience it. 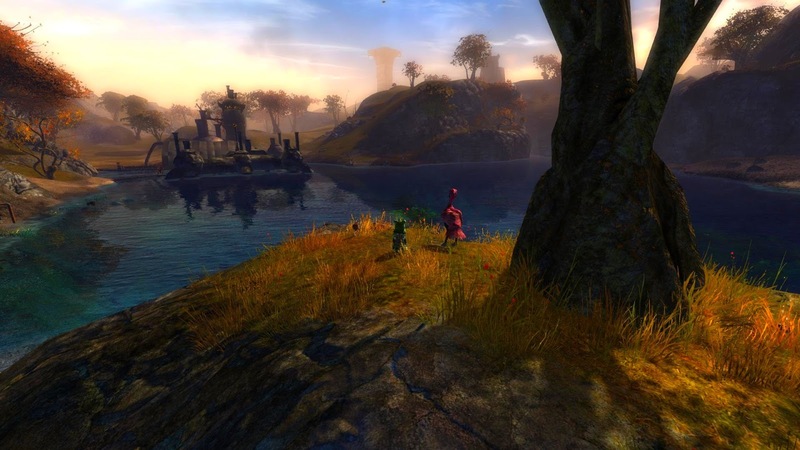 Some years ago I wrote about the early days of UO/EQ/WoW and how having missed that era as an MMO player is comparable to a rock and blues fan having missed 1969. You can still go to concerts and listen to all the Woodstock musicians at home but it's never quite the same experience. If you're really really interested in those genres of music, it will always sting to have missed such a pivotal time. Some moments in history are truly unique and defining. The shared, collective experience has much to do with it, too. And you're right, it's an individual's experience but it's embedded in a greater phenomenon, where everyone around you is sharing the same emotions at the same time. That brings people together like sticky tape (in fact also negative experiences do the same). Nothing lasts forever. That is the greatest, best and worst lesson we all struggle with in this life. The music comparison is an especially good one. There used to be a theory that a major new trend in popular music would arrive every 7-10 years, which is basically when a new half-generation appears, ready and willing to embrace something different from their older siblings. That really worked when popular music was the world's dominant cultural force. Whether gaming is going to pick up on that cadence I'm not sure but if it does I think it will have more to do with technological than creative innovation. I completely agree that someone coming completely fresh to MMOs (which will inevitably mean younger players more often than not) can have a personal epiphany but they can't, sadly, twin that epiphany with the epiphanies of millions of others and create a zeitgeist. It remains a very meaningful life experience for the individual but no longer for the culture. This resonated with me. Back in the day, when you stopped to help someone, they took the time to thank you and if felt like chat wasn't so toxic either. These days, I get a whisper and I assume it is gold spam, someone begging for free game money, or a spoiled child. Most of the time it is one of those things now. I miss what we had and agree that it is gone. Especially in a F2P MMO market where anyone and everyone can come try out a game. I got into MMOs because they were so much better than the multiplayer options in Neverwinter Nights and we had friends far away we could play with. I could group with my hubby in a setting that was designed for it without being forced into predictable MOBA patterns/play. But I have generally hung with a group of like minded guildies and tried to ignore the rest of the behaving badly rubes that were increasingly showing up by the time I started into MMOs. There is still value in playing in MMO worlds, but the play style has certainly changed. It is one reason I think SWTOR was probably being wise in their design of their upcoming new content, although it annoys me for not being able to easily partner with my hubby or RL friends. Win some, lose some. What put that in my mind was my own reaction the night before to someone in GW2 who sent me three rapid tells just saying "Hi". They did it faster than I could respond and by the time the third "Hi" appeared I put them on block. Ten years ago I would not have reacted like that. I'd at least have spoken to them, even if I was expecting a pointless conversation. I would never just have blocked someone for sending me an unsolicited tell - even three of them in a row. I am going to make more of an effort to be open to these random contacts from now on. We'll see how long that lasts and what comes of it. This post definitely made me think. It's funny because I often prefer to play WoW alone (or maybe with one other person) and yet if somehow stopped being an MMO I don't know if I'd play it anymore. How odd. The arcade and cafe analogies are spot on. I used to think I wanted an offline version of Everquest. It would still be nice to have offline versions of MMOs we love just as a security blanket for the day when the final server goes dark but I don't think I'd ever play offline in preference to online. The EQ TLP is working for me. At the level ranges I am at (27 and 11 are the 2 toons I am playing) I have grouped more in the past 2 months than the previous 8 years combined. It's crazy. IT's not the same old EQ (it is actually better, with all the modern conveniences they kept in) but it's a big scary, dangerous world and people need (and want) each other to be safe. It's really beautiful to experience again. This experience has tempted me to do the p1999 because they ban boxing at least, which is the only minor annoyance when you come across it. People respect camp rights still, etc. I still have it in mind to try one of the Vanilla WoW retro servers that were recommended in the comments of a previous post here. I think I'm done with "classic" Everquest as far as spending any serious amount of time leveling a character there goes but I never experienced WoW as-was so it would be both familiar and new. I don't know how much grouping goes on there but I imagine there must be some. Time is always the factor though. I can imagine dropping in for a few sessions but not giving up the time from playing newer games, which I think it's fairly clear from the choices I make are what I really prefer to play these days. I wish in a way WoW had a classic server. 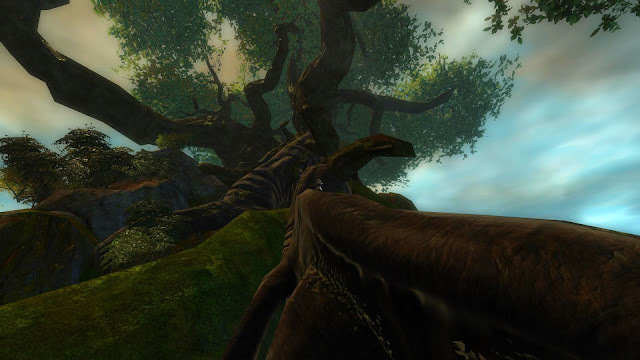 I thought about the EQ/EQ2 new progression servers but it just always feels like it gets rushed and turns into a regular server for some reason. I find in games with smaller communities you find more of what we once had with helping and looking for others. Such as our time in AoC, the people in our guild were so eager and helpful and nice. Haven't seen that in years. Also DAoC always has that old feel,every time I go back I find people eager to take me under their wing and really make me feel at home. Nothing ever like the welcome I had to that game. The Co-Op server, fantastic server as far as community goes. Is it possible to miss that feeling without ever having been involved with it - because that's where I am. Lot of people in that boat I think. I liked the way The Buzzcocks put it : "nostalgia for an age yet to come". At least that suggests you might get there one day.